You’ll also need a handy dopp kit to carry all your grooming and skin care products in, and Herschel Supply’s Chapter Dopp kit is a stylish and spacious one to utilize—especially it’s geo print pattern option. 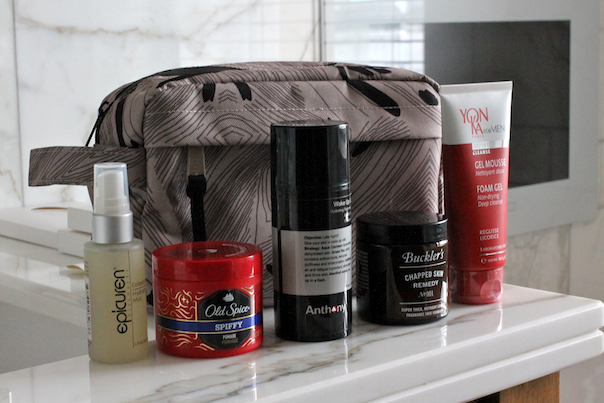 Posted on November 26, 2014, in Grooming, What To Pack and tagged Anthony Brands, Bucklers, Epicuren, Grooming, Hair, Old Spice, skincare, The Motley, Travel, YonKa. Bookmark the permalink. 1 Comment.